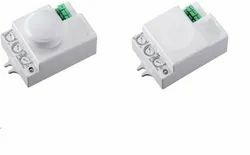 We are listed amidst the leading importers, dealers, exporters, distributors and suppliers of an extensive assortment of special Sensors of the brand name Carlo Gavazzi Products. These Sensors are acquired from our renowned business associate viz. Carlogavazzi. Our products are renowned for their reliability, excellent performance, durability, longer service life. Following are the products that comprise our assortment.